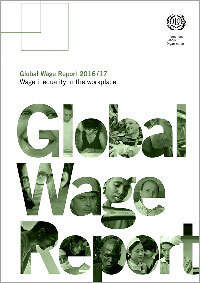 This new ILO Global Wage Report contributes to the United Nations 2030 Agenda for Sustainable Development by making comparative data and information on recent wage trends available to governments, social partners, academics and the general public. These trends show that global real wage growth dropped sharply during the post-2008 economic crisis, recovered in 2010, but has since decelerated. 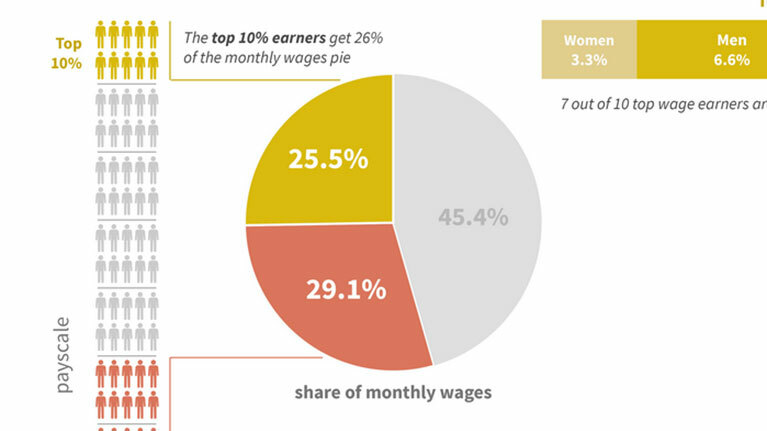 More specifically, the report analyses the extent to which overall wage inequality is the result of wage inequality between enterprises and wage inequality within enterprises. ILO Economist Rosalia Vazquez-Alvarez leads us through the report’s main findings looking at global wage trends, policy recommendations and new research on wage inequalities within enterprises. 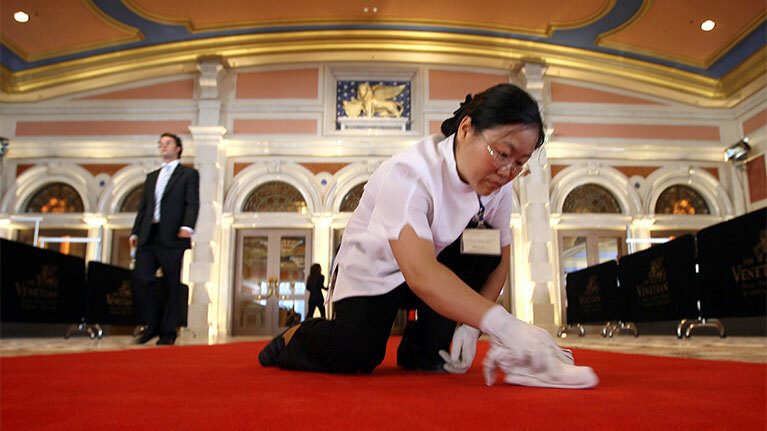 Wage recovery in some developed economies – including the United States and Germany – was not sufficient to offset the decline in emerging and developing countries. 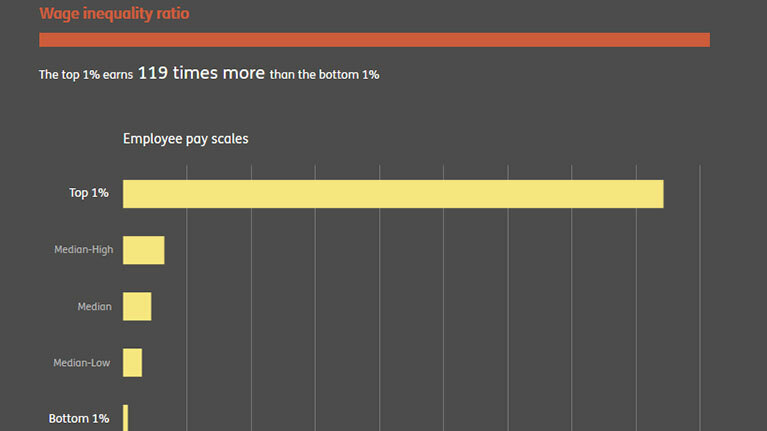 Wage inequality tends to grow together with pay scales. Use the chart to see how wage inequality changes as pay scales go up and down. The Global Wage Report 2016 shows that, in 2010, the top 10% of European best-paid workers obtained 25.5% of total wages, while the lower half of workers got less than 30%.